Parallel to the Bekzat Sattarkhanov Youth Memorial Tournament another international competition was held in Kazakhstan, the Galib Dzhafarov Prizes Junior Tournament. 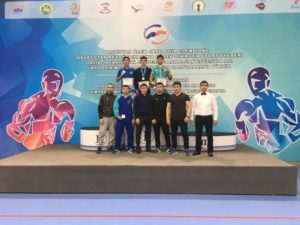 Kazakhstan achieved ten gold medals, Uzbekistan four and Tajikistan one title in the Galib Dzhafarov Prizes Junior Tournament. Galib Dzhafarov was AIBA World Champion in Bangkok in 2003 and an Olympian boxer twice in 2004 and in 2008. He was member of the Kazakh national team and reached strong results also in the Asian level, claiming two medals, one silver and one bronze in the 2002 and in the 2006 Asian Games. Boxers who were born in 2003 or in 2004 were eligible to compete in the prestigious Galib Dzhafarov Prizes Junior Tournament in the city of Aktobe. Altogether 182 boxers attended for the 15 available titles in the Galib Dzhafarov Prizes Junior Tournament from the 42kg category up to the heavyweight (+80kg). 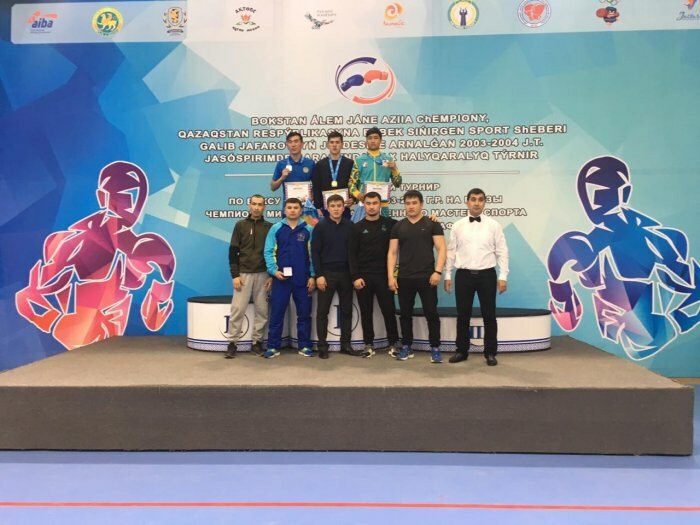 Kazakhstan’s top junior boxers are competing in the Emil Jechev Memorial Tournament in Botevgrad, Bulgaria but the quality of the event was world class in spite of their absences. The first gold medal of the competition was achieved by Tajikistan’s Rukhovar Maynusov who defeated all of his three Kazakh opponents including Meiyrkhan Karboz of Almaty region in the final of the 42kg weight class. Uralbek Abdikadirov was born in 2004 and he is spending his first year among the juniors but the young talent impressed at the 44kg. He arrived from the city of Nursultan, which is the new official name of the capital, previously known Astana, and worked well in the final to win the first gold medal for Kazakhstan in Aktobe. The pinweight (46kg) title was captured by Mukhammetzhan Arynov of Taraz which was Kazakhstan’s second success. Asrorbek Shakhobiddinov earned Uzbekistan’s first title at the light flyweight (48kg) of the Galib Dzhafarov Prizes Junior Tournament in Aktobe where he was slightly better than Tajikistan’s Iskandarbek Rustamov. Marat Belashov represents the Aktobe region and won the title of the flyweight (50kg) before Uzbekistan’s Jokhonmurod Imamaliyev defeated Aytore Marat of Kazakhstan in the final of the light bantamweight (52kg). Yerdaulet Kalmanbetov arrived from Shymkent to the event and controlled his bantamweight (54kg) final against Abzalbek Tolegenov of Mangystau. Uzbekistan’s Lazizbek Fattoyev was too smart for Almaty region’s Zhasnur Abylbek in the final of the featherweight (57kg) where Tajikistan’s strong future hope Dovud Makhkamov claimed bronze medal. Mangystau’s Ayan Dembolsynov eliminated Tajikistan’s favourite Sarvar Yusupov in the first preliminary round of the lightweight (60kg) and following that narrow start no one was able to stop him to get the gold medal in Aktobe. A local favourite Timur Yeskhozhin defeated Uzbekistan’s Mirzamakhmet Mirzabekov in the final of the light welterweight (63kg) before Mangystau’s Kozybay Borisuly (66kg) and Kostanay’s Vadim Samsonyuk (70kg) won their titles in the Galib Dzhafarov Prizes Junior Tournament. Uzbekistan’s fourth gold medal was taken by 16-year-old Nursatbek Tokhirov at the middleweight (75kg) following his success over Nursultan’s Temirlan Temirbekov. Almaty region’s Beknur Batyrbek was too experienced for all of his rivals at the light heavyweight (80kg) while the last title was captured by Beybarys Satbayev.